Damp, moist areas are a breeding ground for mold and mildew. This is especially common in bathrooms that are typically small, confined and full of moisture. Mold on your walls, tubs and shower is not only unattractive, it can lead to more serious issues for your family and home. However, with a strategic plan of attack, you can stop bathroom mold and maintain a clean, healthy bathroom for your family and guests. To control mold growth in your bathroom, you must first understand why mold flourishes so easily in this room of your home. Mold requires moisture to grow, which makes the bathroom an ideal place for it to take hold. 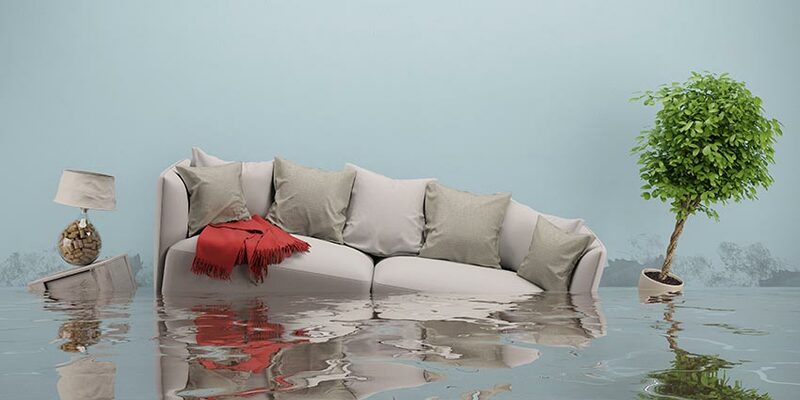 When water is constantly present on surfaces and in the air, mold spores can take hold and begin to multiply. Mold grows best on porous materials that trap moisture, such as wood, paper, ceiling tiles, fabric and cardboard. 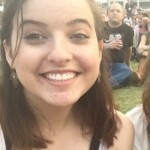 However, it can grow on almost any surface when given enough moisture to survive. With constant use of water in the bathroom, it can seem impossible to stop mold growth, but it can be controlled, and even stopped, with a few preventive measures. Increasing air circulation through the use of air quality appliances can be the first step to preventing and eliminating bathroom mold. Any and all mold should be removed from your home as soon as possible. While certain types of mold can be more dangerous than others, any mold can cause health issues in those with a sensitivity. Not only can it be an irritant, but it can also be hazardous to those with immunity and lung conditions. Mold can cause serious infections that can jeopardize the health of those who live around it. In 2004, the Institute of Medicine linked indoor mold exposure to upper respiratory issues in otherwise healthy people, with more severe consequences for those with chronic illnesses such as asthma. Not only can mold harm your family’s health, it can also damage your home. Left unchecked, mold can infiltrate the walls, floors and ceilings of your home, especially in your bathrooms. 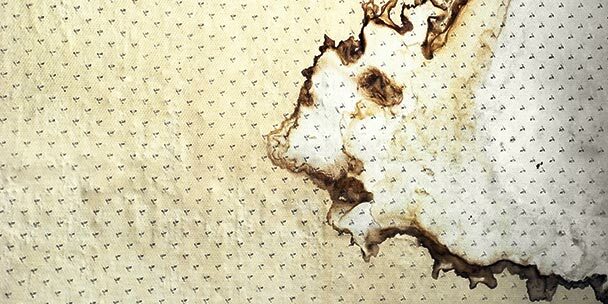 This can lead to expensive removal of these surfaces and a need for professional mold treatments. First and foremost, mold must be removed from the surfaces of your bathroom. If you can see traces or smell the musty odor of mold, it should be completely cleaned from all surfaces. There are many commercial cleaning products that can effectively remove and kill mold on surfaces. You can also use a cup of standard household bleach diluted within a gallon or more of water to clean mold from your bathroom walls, floors, ceiling and other surfaces. Wipe down shower walls and sinks after use. Mold loves to grow in the corners of your shower or behind the faucet on your sink. Use a squeegee or dry towel to wipe down wet surfaces after use to minimize moisture left on surfaces. Fix leaks. Do you have a faucet or showerhead that drips? Fix leaks to keep the moisture level minimal in your bathroom. Make sure to check under your bathroom sink and around bathroom windows; condensation on pipes or windows are another source of moisture for mold. Decrease humidity with good air circulation. One of the reasons that moisture stays trapped in bathrooms, accelerating mold growth, is due to poor air circulation. Opening a window can help reduce moisture but may not be enough to circulate the air. Exhaust fans can also be helpful, but dehumidifiers and portable air conditioners can be the best ways to stop mold growth in your bathroom. We will go into more detail on these appliances in the next section. Many bathrooms have exhaust fans, but some are not large enough to circulate the air throughout the whole room. These should be used whenever water is being used in large quantities to dispel the steam in the air. However, it is important to ensure the exhaust is filtered to an outside vent, not into another space like the attic where it can lead to humidity and mold developing in that area. 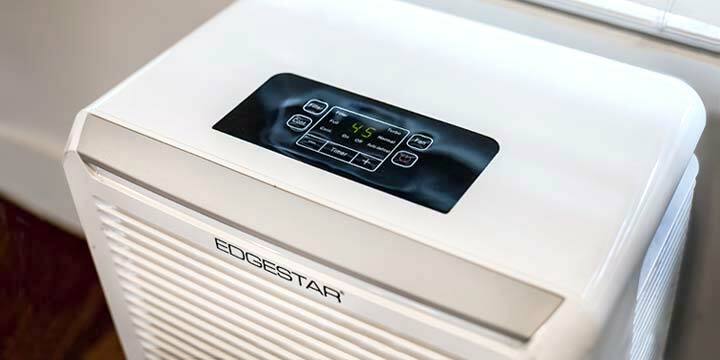 If you do not have an exhaust fan in your bathroom or it is not controlling the humidity enough to stop mold growth, a dehumidifier can be a great solution. 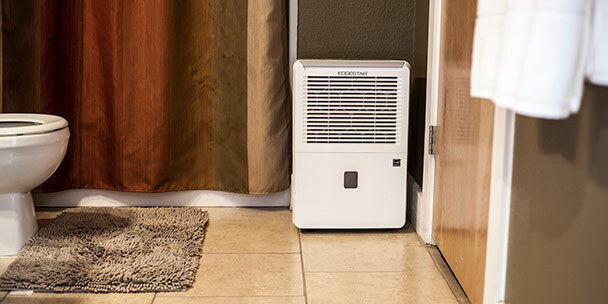 This can be a part of your home air conditioning system or you can purchase a portable dehumidifier for your bathroom to control the level of moisture in the air. 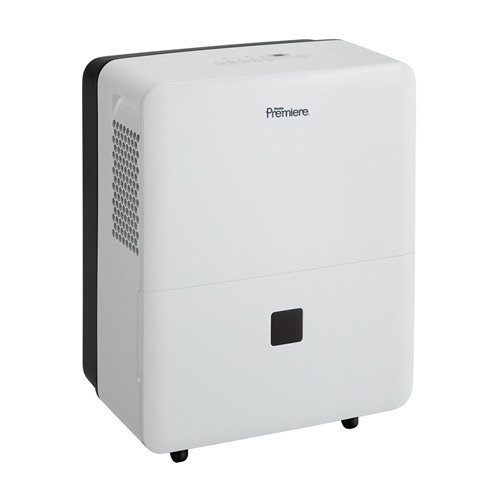 Another portable option for bathrooms that don’t have an exhaust fan (especially in apartments where it is not possible), is a small air conditioning unit. This can be placed in the window or connected to a vent hose that accesses the window to provide good air circulation and ventilation in your bathroom. 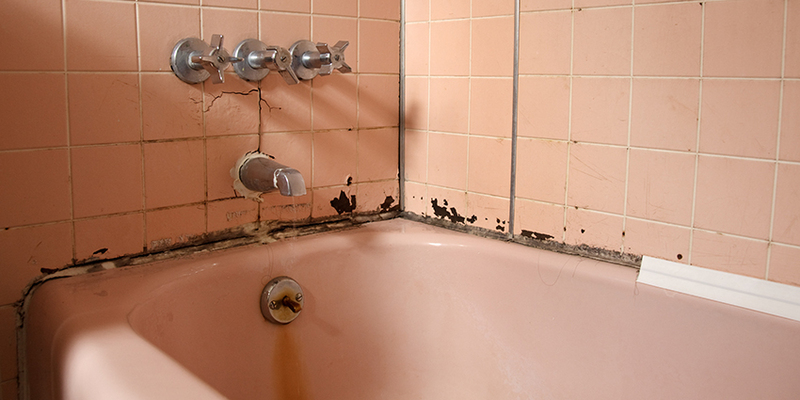 Don’t let your bathrooms become large petri dishes for growing mold. At the first sign of mold accumulation, remember to remove all traces of mold from your bathroom surfaces and begin implementing some of these strategies to stop bathroom mold. Remember that decreasing air humidity is one of the important steps to maintaining a healthy, clean bathroom that is free of mold. 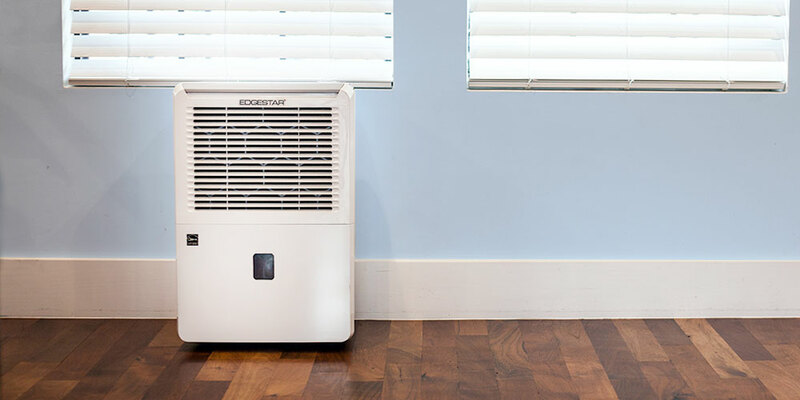 Invest in a dehumidifier, exhaust fan or portable air conditioner that will offer adequate ventilation and circulation for this moisture-dense room of your home, and start enjoying your allergen-free home once again.